Dog-friendly holidays – pets welcome! We understand that bringing the family pet on holiday can be very important to our guests and it can be hard to find dog-friendly holidays. As dog owners ourselves, we know that terrible feeling of having to put your four-legged friend into kennels. 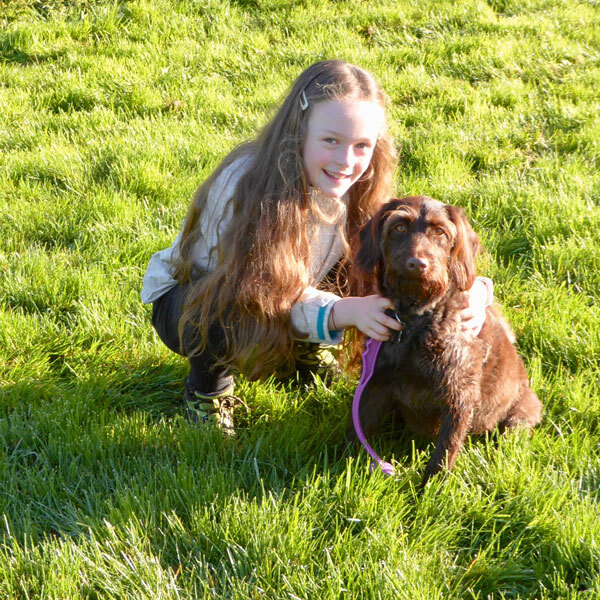 Now you don’t have to, because at South Coombe, we welcome dogs of all shapes and sizes. 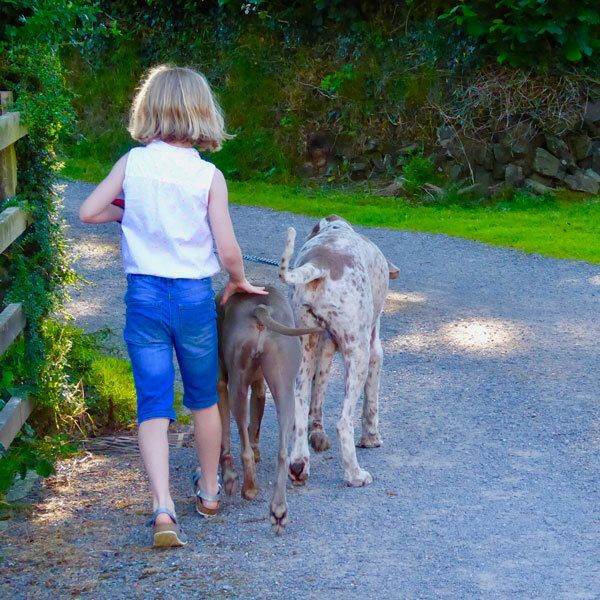 Jonquil Cottage, Tilly’s Cottage, Saffi’s Cottage, Drake’s Cottage and Tike’s Cottage are all well-equipped to welcome your canine companions. 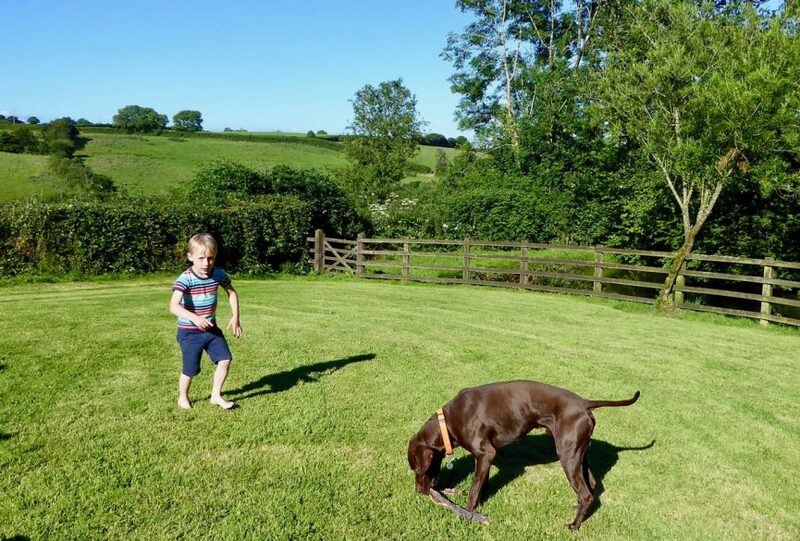 We can offer you fifteen acres of our own land to explore; you can meander through the orchard, romp in the exercise field or amble down to the stream. If you are feeling more adventurous, you could walk along the quiet village lane to the pub – less than a mile away, where you and your pet will be made most welcome. From the village, you can take a walk through the woods and along the Little River Dart, and then back to the pub! And a mere twenty minutes in the car will take you to Knightshayes, a lovely local National Trust property. There, you will find great woodland walks and open parkland for you and your pooch to explore. Then there’s the seaside, which most dogs love. Why not try Instow and Saunton? 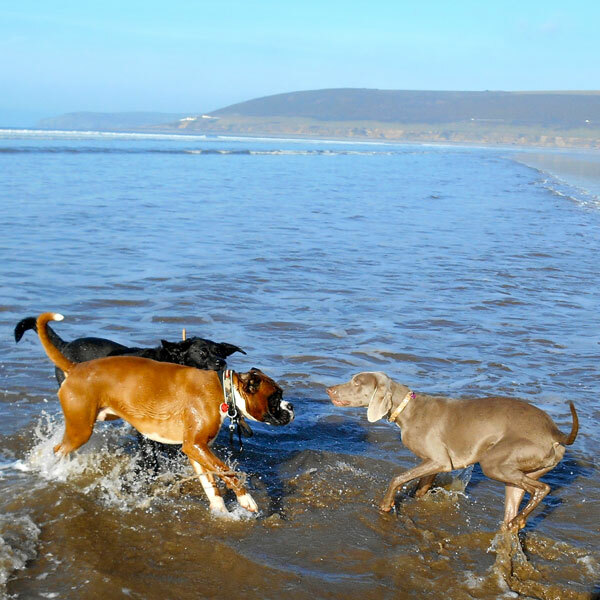 Both are local dog-friendly beaches, accessible all year round. After all that exercise, you’ll find a comfortable cottage waiting for you on your return to South Coombe. 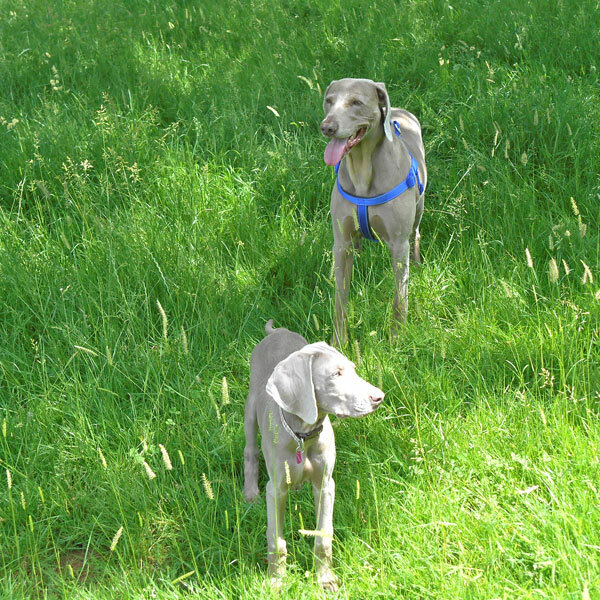 Our guests – both two- and four-legged agree that we are very dog-friendly! Please see our Pet Policy for further information. Our website is full of information so do have a good look around. There are also lots of helpful reviews on Trip Advisor.